On 27 July 1946, Pravda reported on the construction of a water pipeline in the city of Yakutsk. “A 600-meter well has been drilled in order to obtain potable water,” announced the newspaper of the Communist Party of the Soviet Union. “Workers had to overcome a 300-meter stratum of permafrost. In the practice of water pipeline construction worldwide, no comparable case is known.” Seven months later, the well began delivering 500 cubic meters of groundwater per day. For the first time, inhabitants of Yakutsk had ready access to clean water from below the permafrost layer. On the face of it, the story reads like a tale of human triumph over nature. But was it? A nineteenth-century map shows the location of Yakutsk on the left bank of the Lena River in Russia, a region underlain by permafrost. Owing to the presence of permafrost, Yakutsk survived on limited water resources for centuries. 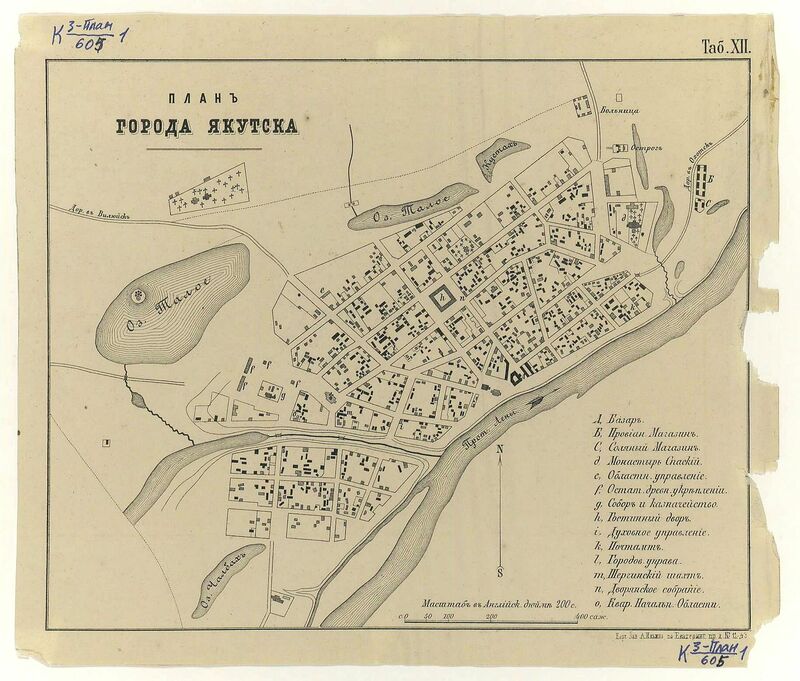 Russian colonizers established Yakutsk along the Lena River in 1632. Military governor Matvei Krovkov gave insight into the challenges of living in the territory when he wrote to tsars Peter and Ivan in 1684, “A well, Great Sovereigns, cannot by any means be created in Yakutsk because the earth in summer thaws one and a half arshin (107 cm), and more than two arshin (142 cm) the earth never thaws.” By the 1830s, an attempt to dig through the permafrost had been undertaken by a merchant named Fedor Shergin. Using shovels and chisels, Shergin and his crew dug 116 meters over ten years before giving up. Frozen earth not only cast doubt on the availability of groundwater, but also made exploratory digging difficult. Author unknown. Image courtesy of Wikimedia Commons. The absence of wells had deleterious consequences for the health of the settled population. In the 1830s, publicist Nikolai Shchukin observed, “Although the town lies on the shores of the greatest river in the world, yet in summer and winter the people die of thirst.” Shchukin told of how the Lena froze in winter while spring floods filled its channels with sand and altered its shape, directing its waters farther from town. The cleaner waters of the river’s fairway were over two kilometers away, and the streams that flowed near Yakutsk were muddy and contaminated with municipal waste. Outbreaks of typhoid and dysentery, spread through dirty water, were frequent. Only in the twentieth century did historical circumstances arise that led to redoubled efforts to develop sanitation infrastructure in Yakutsk. After the 1917 revolutions in Russia, Yakutsk became the capital of the Yakut Autonomous Soviet Socialist Republic, ruled by the Communist Party. In the Party’s plans, Yakutsk was to transform into an urban industrial center. Supplying the city with water became a political priority. In 1932, two million rubles were allocated to hydrogeological research in and around Yakutsk. Surveys found landforms, such as powerful springs, that pointed to the existence of water-bearing strata below the permafrost. Based on these and other clues, scientists anticipated an aquifer encompassing the lower Jurassic and upper Cambrian series beginning some 220 to 350 meters beneath Yakutsk. The government authorized the drilling of an exploratory well, hoping to locate abundant groundwater underneath the permafrost layer. 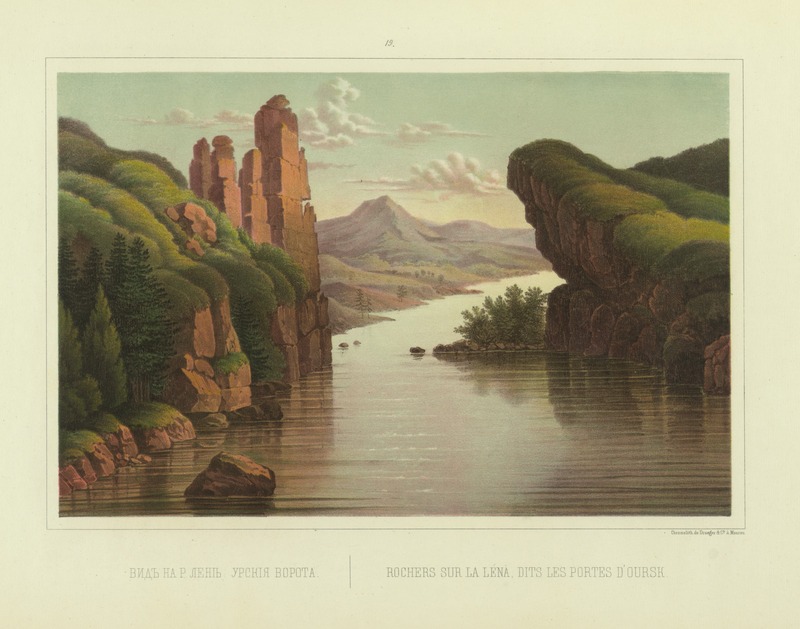 A nineteenth-century lithograph of the Lena River. Spring floods changed the river’s shape and altered its course. Lithograph by Leopold Niemirowski from Puteshestvie po vostochnoi Sibiri I. Bulychova [“Bulychov’s Travels in Eastern Siberia”], 1856. Equipped with drilling rigs, the Soviets encountered setbacks. During the drilling of the exploratory well, hot drilling fluid thawed the frozen earth, causing the walls of the borehole to collapse. Workers were forced to abandon the initial well after 80 meters and start over. Once the permafrost layer was breached and the target depth of 500 meters reached, test pumping began—but not before the well froze, leading the regional commissariat of public works to declare pumping impossible. Additional resources as well as political pressure were mobilized in order to drill out the frozen borehole. After ascertaining the presence of an aquifer, the government gave the green light for a 600-meter exploitation well near the city center. Once again, the project met with stumbling blocks. At 400 meters below the surface, the borehole began to silt up. Instead of stopping to assess the situation, workers continued drilling, exacerbating the problem. Drilling fluid ceased to circulate, and a mud plug ten cubic meters in volume became an impenetrable barrier. The head geologist made a perfunctory attempt to clear the well before pronouncing it waterless, to the consternation of officials. A scientific review determined that fissures in the stratum of water-bearing rock had become completely jammed with particulates from the drilling fluid. Instead of the clay-based drilling mud, water should have been used. Under new oversight, workers eventually evacuated the aquifer and the barrel and walls of the borehole. Blame for the accidents focused on human error, but the unfamiliar environment played a role in conditioning the mistakes. Twenty-first-century view of the city of Yakutsk. 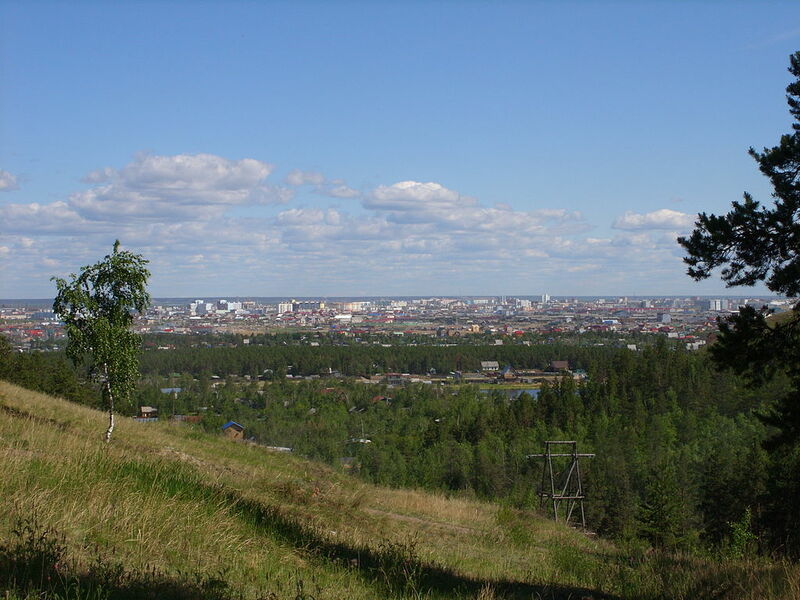 Groundwater from beneath the permafrost facilitated its urban development. Photograph by LxAndrew. Image courtesy of Wikimedia Commons. Illuminated by its details, the story of how Yakutsk came to access potable water from beneath the permafrost becomes one of arduous adaptation to an unfamiliar environment. It is perhaps this narrative—rather than that of victory—that holds more significance for humans today. As global warming transforms once-familiar environments, societies will be forced to adapt. If the history of Yakutsk is any indication, adaptation will mean long time-scales, overcoming mistakes, and an uneven process of two steps forward, one step back. Chu, Pey-Yi. “To Dig a Well (in Siberia).” Environment & Society Portal, Arcadia (Summer 2017), no. 13. Rachel Carson Center for Environment and Society. https://doi.org/10.5282/rcc/7896. Anisimova, N. P., S. M. Fotiev, and V. V. Shepelev. “Otkrytie Iakutskogo artezianskogo basseina.” Kriosfera zemli 2, no. 4 (December 1998): 19–26. Baskov, E. A., and N. I. Tolstikhin, eds. Odzemnye vody Iakutii kak istochnik vodosnabzheniia. Moskva: Izdatel’stvo “Nauka,” 1967. Kamenskii, R. M., ed. Akademicheskoe merzlotovedenie v Iakutii. Iakutsk: Institut merzlotovedeniia SO RAN, 1997. Maximov, V. M., and N. I. Tolstikhin. 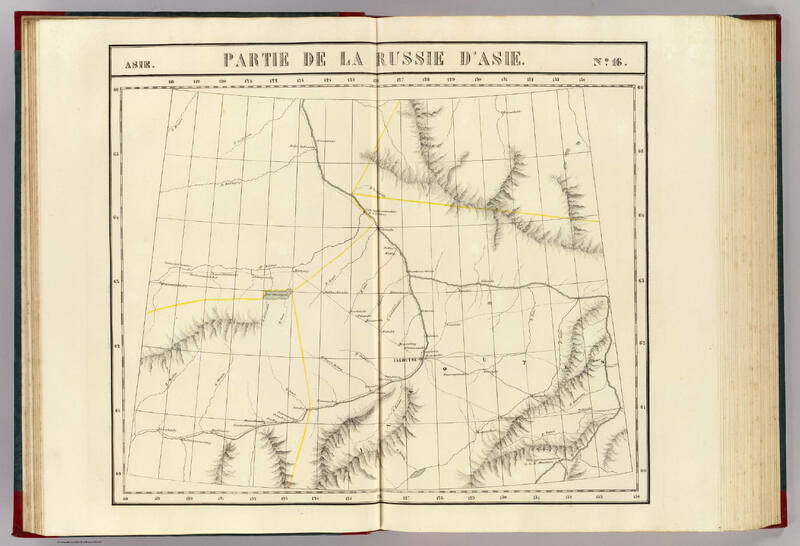 “On Hydrogeological Conditions in the Vicinity of the Town of Yakutsk.” Comptes Rendus (Doklady) de l’Académie Des Sciences de l’URSS 28, no. 1 (1940): 93–96. Safronov, F. G. Gorod Yakutsk v XVII-nachale XIX vekov. Iakutsk: Iakutskoe knizhnoe izdatel’stvo, 1957. Shchukin, Nikolai. Poezdka v Yakutsk. St. Peterburg: Tipografiia Konrada Vingebera, 1833. Yershov, E. D. General Geocryology. Cambridge: Cambridge University Press, 1998. Pey-Yi Chu teaches history at Pomona College in Claremont, California. A historian of Russia and the Soviet Union, she received a BA from Stanford University and a PhD from Princeton University. Her writings on the history of the earth sciences have appeared in the journal Environmental History and the edited volume The Future of Nature. Currently, she is working to complete her book, The Life of Permafrost: A History of Frozen Earth in Russian and Soviet Science. She was a Carson Fellow at the Rachel Carson Center for Environment and Society in 2016.